Courtesy photo Rotarians Chris Christensen and Troy Aarthun receive a sponsorship check from Dr. Melissa Wu from Medical Immediate Care. 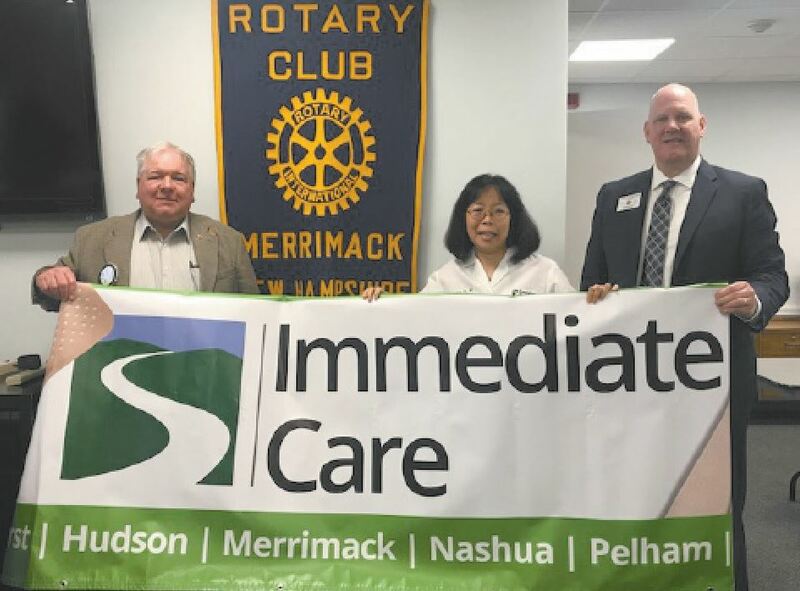 MERRIMACK – The Merrimack Rotary Club welcomes Merrimack Immediate Care as a Founders Level Partner for the July Fourth Family Fun Day and Pancake Breakfast sponsor. Starting with the Pancake Breakfast from 8-11 a.m., the 2017 July Fourth Family Fun Day is a day of fun, games, entertainment and food. 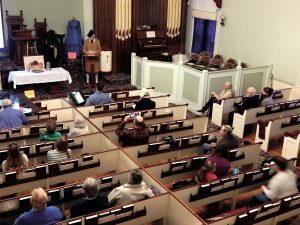 The day’s schedule has been announced and consists of the following: Sparkler 5K Road Race (Start at Merrimack YMCA) at 8 a.m.; Merrimack Rotary Club Pancake Breakfast (Mastricola Upper Elementary School Cafeteria) from 8-11 a.m.; Parade (Daniel Webster Highway to Baboosic Lake Road ending at the Merrimack High School) starts at 1 p.m; Merrimack Rotary Family Fun Day (Mastricola Elementary School Grass Fields) from noon-9 p.m. with contests, food vendors, club and service organizations, live stage events, nonprofit organizations, children’s entertainment, teen entertainment, dunk tank, business vendors, crafts and gifts, specialty vendors, family entertainment, local bands, live demonstrations and much, much more; Fireworks (Merrimack High School field) begin at dusk. For a full schedule and to contribute, go to merrimack4th.com and follow Merrimack4th on Twitter. If interested in participating and/or to reserve space please contact Neil Anketell at info@merrimack4th.com.